The new 50m pool (that isn’t) is open at Harvey Hadden, so we all go for a swim. They have the whole 50m at their disposal but attempt to cram everyone into a quarter of the pool. I think they are taken aback that opening on a bank holiday is popular and before long they open the whole of one 25m side. By the time we leave they are opening part of the other side as well. From there we head straight to the train station where we drop Daughter off for the trip back to Manchester. We head to Broadway later for a couple of beers, food and the film ‘Brooklyn’. 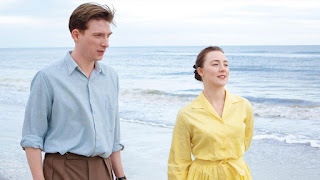 Based on Colm Tóibín's novel with screenplay by Nick Hornby, Brooklyn tells the story of Ellis Lacey (Saoirse Ronan), an Irish lass who emigrates from her home in Enniscorthy, County Wexford to New York in 1950s. She goes at the behest of her sister Rose, who she leaves looking after her mother (Jane Brennan), in search of a life with better prospects. Ellis arrives in New York seasick and bewildered. She works as a salesperson in a department store and takes night classes in accounting as advised by Father Flood (Jim Broadbent). Initially she misses home but gradually adapts to her new environment. 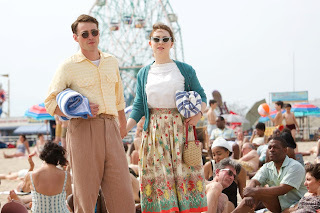 At an Irish dance she meets Tony Fiorello (Emory Cohen), an Italian plumber who admits he is partial to Irish girls. Tony turns out to be not only persistent and an avid baseball fan but also quite charming. The new and improved Eilis finally starts to enjoy life in Brooklyn. 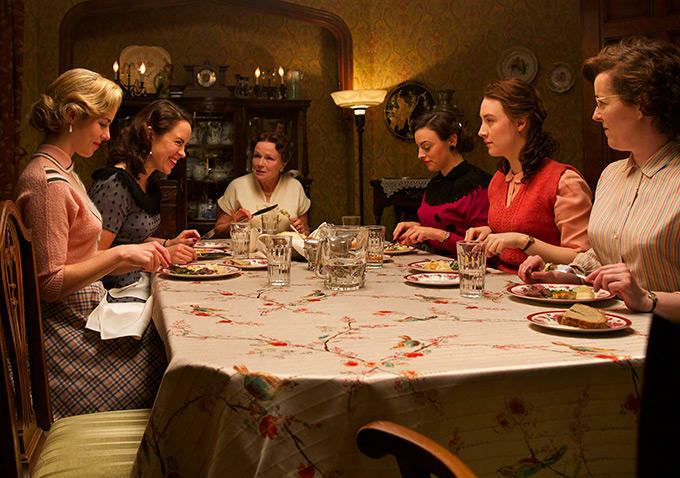 Then tragedy strikes back home as her sister dies and Ellis is suddenly heading back to Ireland. Tony is smart and a bit cheeky in that he gets her name on a marriage certificate before she leaves in hope that this will ensure her return. Despite intending that her return to Ireland would be brief, her stay extended to include a friend's wedding and she reluctantly settles back into life in Enniscorthy along with its small-town mind set. She gets offered a job and another husband, as she is pursued by an old friend in Jim Farrell (Domhnall Gleeson). The film tries to have us believe that she is torn between the familiarity of her old life in Ireland and the excitement of her new one in Brooklyn. That is as well as being torn between the two men in her life, one of which she’s already married to. 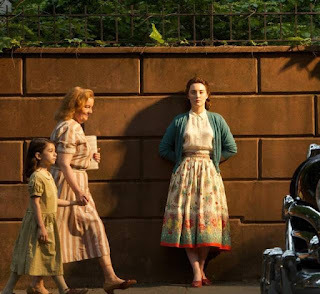 Unfortunately while the film presents a pretty solid case for Brooklyn, the Irish case is far from convincing and, quite rightly, Ellis eventually legs it back to America. Anything else really wouldn't have been believable. Overall though the film is excellent, nothing flash just good old fashioned filmmaking of the kind that a lot of film makers seem to have lost the ability to produce without resorting to special effects and multiple plot twists. It is without doubt Ronan’s film although kudos to Julie Walters, who as Ellis’s landlady Mrs Kehoe gets to deliver most of the best lines of the film around the dining table of her boarding house. We round off the night with a beer in the Lord Roberts.